The good news is male chronic kidney disease (CKD) patients can and do have children. The likelihood that a male patient with CKD will be able to father a child decreases with the severity of the kidney disease. The National Kidney Foundation has divided CKD into five stages. Please consult your doctor regarding the staging of your individual kidney disease. Is it possible for men with CKD on dialysis to father a child? Yes, men on dialysis have been able to father children. Adequate dialysis and proper treatment of anemia can help. 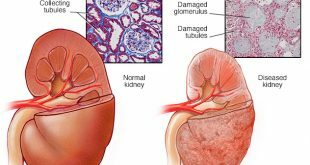 Children of men with hereditary kidney diseases such as Alport’s syndrome and polycystic kidney disease are at higher risk of developing CKD than the general population. However, most kidney diseases causing CKD are not hereditary, so CKD patients are not destined to produce children who develop CKD. Are there any concerns about pregnancies being fathered by male transplant kidney recipients? Men with CKD who received a kidney transplant and whose kidney function returns to close to normal typically enjoy normal fertility. There have been no specific recommendations for male transplant recipients with regard to post-transplantation intervals and fathering a child. The outcomes of pregnancies fathered by male kidney transplant recipients are generally good. The baby’ age at birth, birth weights, frequency of prematurity, and the frequency of birth defects are similar to the general population.